At the start of the twentieth century, actors Chico, Groucho, Harpo, and Zeppo Marx performed hilarious slapstick comedy routines that had audience members begging for more. One of their funniest films is Duck Soup (McCrary, 1933), which tells the story of dictator Rufus T. Firefly (Groucho), who runs a poverty-stricken land called Freedonia. It faces bankruptcy due to mismanagement and is on the verge of a revolution when Dowager Gloria Teasdale (Jean Durmont) promises to donate $20 million to the government if Firefly assumes leadership. His rival, Trentino (Louis Calhern), the Ambassador of Sylvania, a neighboring country, sends two spies, Pinky (Harpo) and Chicolini (Chico), to oust Firefly so that Trentino can take over Freedonia. After Pinky and Chicolini fail to collect noteworthy information about Firefly, the latter is appointed Secretary of War when Firefly sees him on the street selling peanuts. Soon, Bob Roland (Zeppo), the personal assistant to Firefly, suspects the motives of Chicolini and counsels Firefly to expel him by insulting him. War is declared upon Sylvania after Firefly learns the identities of the two spies in his household. The title Duck Soup refers to a 1927 short film of the same name that director Leo McCrary made with comedians Laurel and Hardy. In addition, it is an archaic American phrase that means anything simple or easyor, alternately, a gullible individual. Duck Soup can be viewed as a political satire that demonstrates how a population succumbs naïvely to dictatorial rule. This herd instinct, which was prevalent in Europe in 1933, enabled fascist leaders to gain control and unleash chaos and brutality. Accordingly, the movie acts as a caveat for what happens when people blindly trust their leaders, who may be corrupt and greedy for absolute power. Although Duck Soup floundered at the box office upon its initial release, it went on to garner a cult following in the decades to come. In fact, in 1990, this culturally significant film was added to the Library of Congress. Throughout the movie, viewers will enjoy amusing scenes of the funniest and most popular routines that the Marx Brothers performed, routines which inspired comedians such as Lucille Ball. Pick up Duck Soup in Gabriele Library, and watch it to be entertained by the hilarious Marx Brothers. Return to Me is a charming romantic comedy about a man named Bob (David Duchovny) who is madly in love with his wife, Elizabeth. Sadly, Elizabeth is killed in a car accident and Bob is devastated. The one good thing that arises from this tragedy is that a dying woman is given a second chance at life through Elizabeth’s organ donation. A year later, Bob has finally mustered up the courage to go on a blind date and while at the restaurant, he finds himself attracted to a waitress named Grace (Minnie Driver). As Bob begins courting this woman and learns to love again, what he doesn’t realize is that Grace was the dying woman who received his deceased wife’s heart. Was it fate that brought these two together or could this shocking news actually pull them apart? A tale of love, loss, and friendship, this heartwarming picture stars comedic actors Jim Belushi and Bonnie Hunt, who wrote and directed the film as well. It also features veteran actor Carroll O’Connor as Grace’s adorable grandfather in his final role. Return to Me will make you laugh, make you cry, and maybe even make you believe in fate. 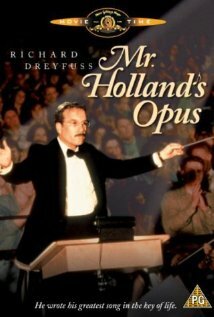 Mr Holland’s Opus is a timeless classic; a film that speaks to so many people and on so many different issues. It follows the life of Glenn Holland, who dreams of becoming a composer. The movie begins with Mr. Holland deciding to give up his career as a musician on the road and instead teach music at a local high school, hoping it would give him time to compose at night. He quickly realizes, however, that being a teacher isn’t as easy as he thought and doesn’t afford him a lot of free time. Like many new teachers, Mr. Holland struggles to engage his students and quickly starts to burn out. Still, he cannot quit for his wife is pregnant and they need some steady income. What began as a temporary “gig” for this struggling musician eventually turns out to be his true calling in life. Soon, this music teacher is inspiring students, getting more involved in school activities, and staying late to give private lessons. Along the way, he helps countless students maximize their potential, including a shy girl who just wants to find something she’s good at and an athlete who needs to take band in order to raise his g.p.a. As Mr. Holland’s dedication to his students grows, his symphony falls by the wayside and his relationship with his wife and hearing-impaired son suffers. Will he ever find balance between work and family, and will Mr. Holland’s dream of becoming a composer ever come true? When I first watched this movie as a teenager, I couldn’t help but see the similarities between Mr. Holland and my own high school music teacher. Like Mr. Holland, my chorus teacher inspired in me a love of music and theatre, a passion for singing, and gave me a place within that small high school where I finally felt like I belonged. He exemplified what a good teacher is and even looked like Mr. Holland! A teacher now myself, this movie appeals to me more than ever. As time lapses throughout the film, showing us what schools were like in the 1950’s, 60’s, and 90’s, we see a lot of changes in the school climate but one thing remains steadfast: the dedication of the educators. Mr. Holland’s Opus is a wonderful illustration of a teacher’s life, portraying the highs and the lows in such an effective way. 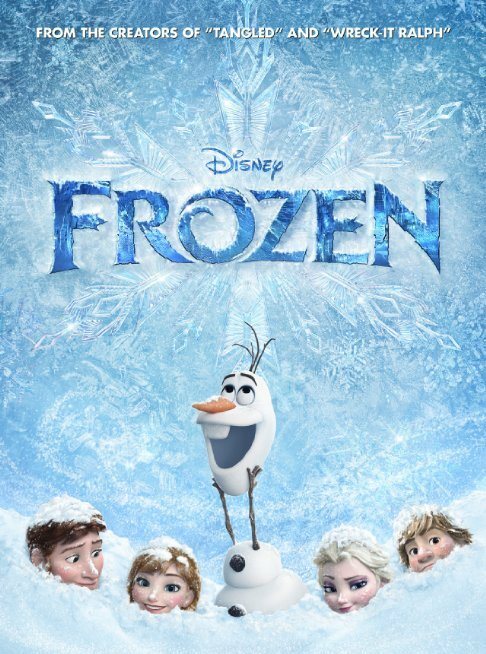 It is a remarkably moving film and one that I highly recommend!